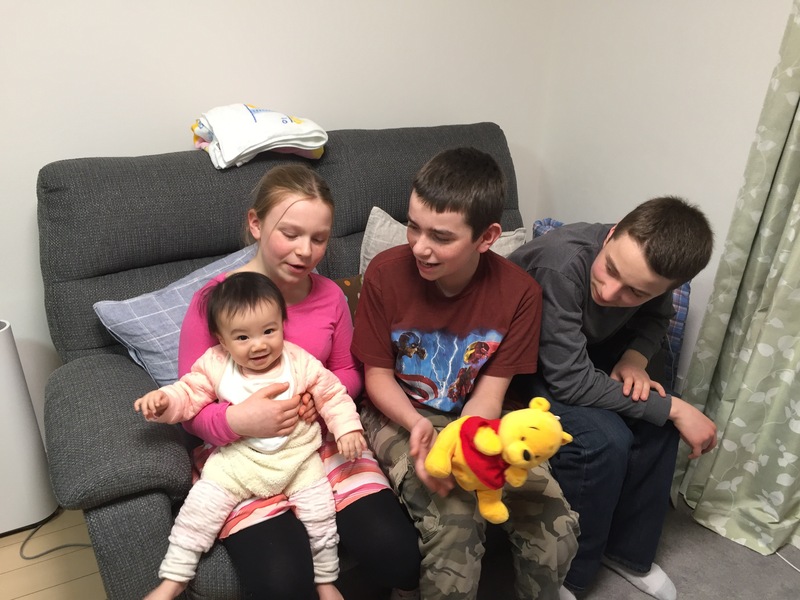 I'm a homeschooling mom of three living in Japan. 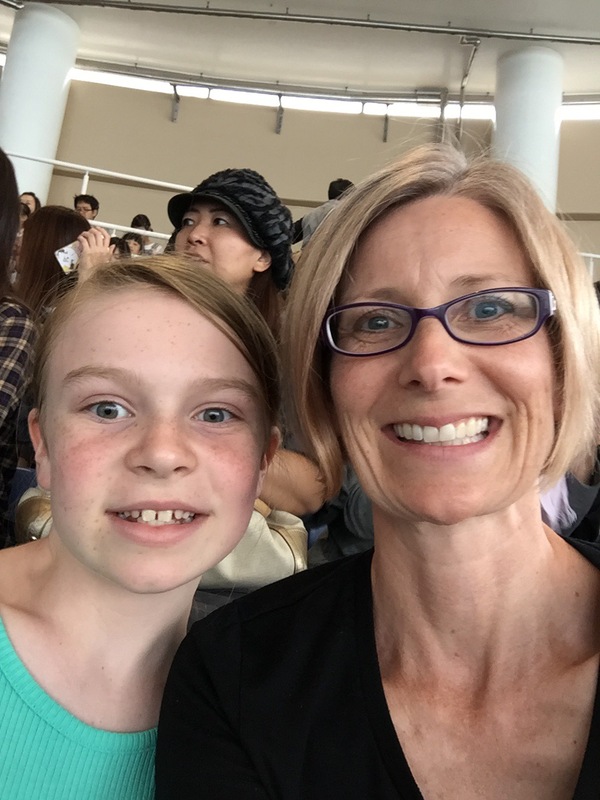 I started this blog to share photos and snippets from our family life and homeschooling journey. Back in 2011 (when the kids were 9, 8, and 4 years old) we first studied the structure of cells in biology and the kids first tried their hands at making various cell models, including a cake version of a plant cell. It was a big hit! The kids had a blast both making the project and eating it. Then in 2013, the boys’ science curriculum covered cells again and Katie joined them in the fun of making another cell cake, though the second time around it was a model of an animal cell. 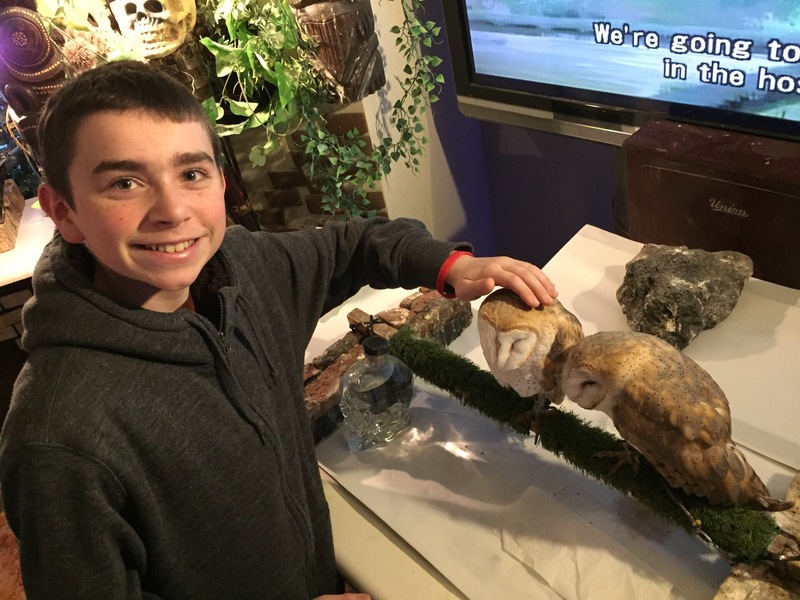 Homeschooling, like any other educational style, has its pluses and minuses, ups and downs, joys and challenges. 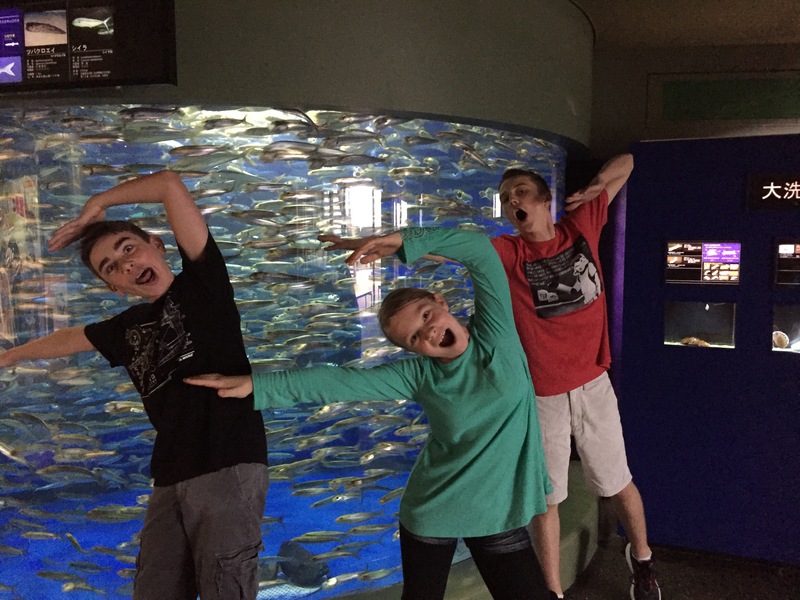 But one thing I really enjoy about how we do school is the freedom and flexibility in how we organize our homeschool day. I like to be planned and have a schedule so at the beginning of each school year I always come up with a written schedule for each of our kids that I print out and put inside a clear plastic cover so each subject can be marked off with an erasable pen and then reused each week. This school year I thought I’d be super organized and I worked hard to plan the exact times for each class and when each person would be working on what subject throughout the day. But in addition to being scheduled, I also like being flexible and I soon realized that those exact times aren’t all that useful for our family. Sometimes kids wake up really excited to work on a writing project or other subject and want to get started on that first. Bryan (who teaches algebra and geometry to the boys) often needs to plan his math class for the day around other commitments, which means algebra could start at 9 am one day and 9 pm the next. 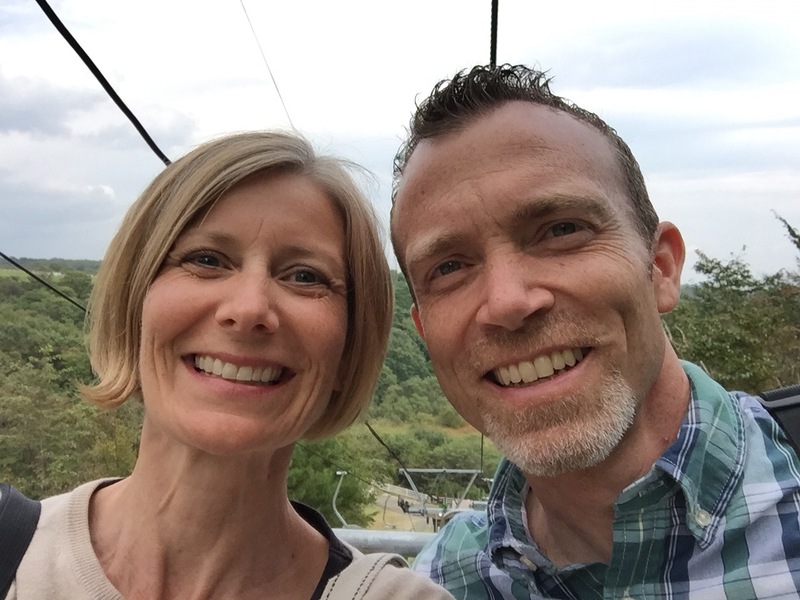 I used to feel discouraged and frustrated that I couldn’t get us to stick exactly to the schedule, but now I realize that our flexibility is actually one of our biggest strengths. Each kid (and parent) in the family gets to help decide how each day will flow, depending on what we feel like tackling first. And we can also schedule impromptu breaks between subjects into the day, like a some jumping on the mini-trampoline to get the blood flowing again or a few minutes with Ethan watching his favorite nature show on YouTube, Brave Wilderness. A couple of days ago, we had beautiful weather. The sun was shining gloriously in the cloudless sky and the ducks in the river next to our house we’re quacking away. After lunch Katie asked if she could take a quick break to go feed the ducks some bread. She came back a few minutes later and excitedly told us that she’d spotted a mother duck and her six ducklings swimming along in the water. 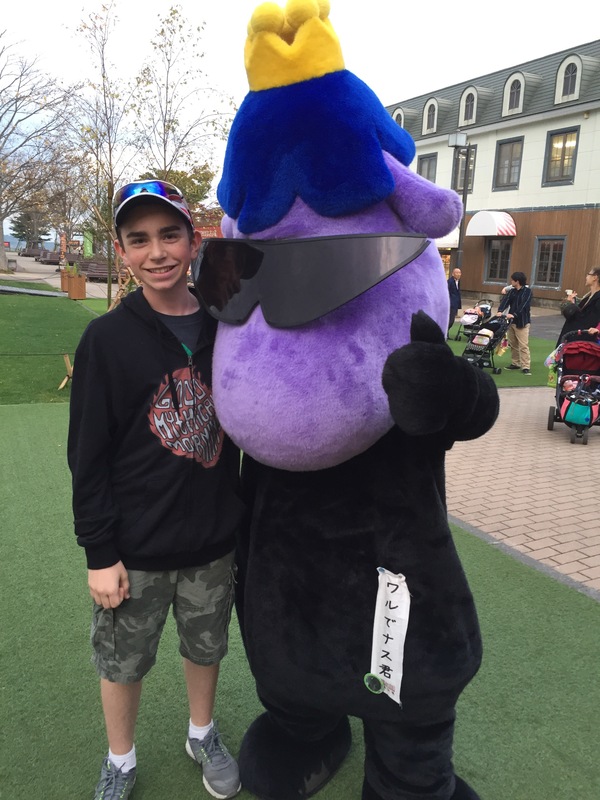 So, Ethan and I hustled out to see if we could spot them too. We did and the three of us enjoyed a nice break from math and English together as we oohed and ahhed at their fluffy sweetness. After a little while, the task master in me reappeared and I called us all in to get back to our regular studies, but I really enjoyed that nature break with my kiddos. We don’t do that as much as we did when they were little tykes, but I hope we remember to do it more from here on out. It felt great to seize the moment! Bread in hand and on our way to find the ducks! This is our humble abode. It’s fun to live next to a river. 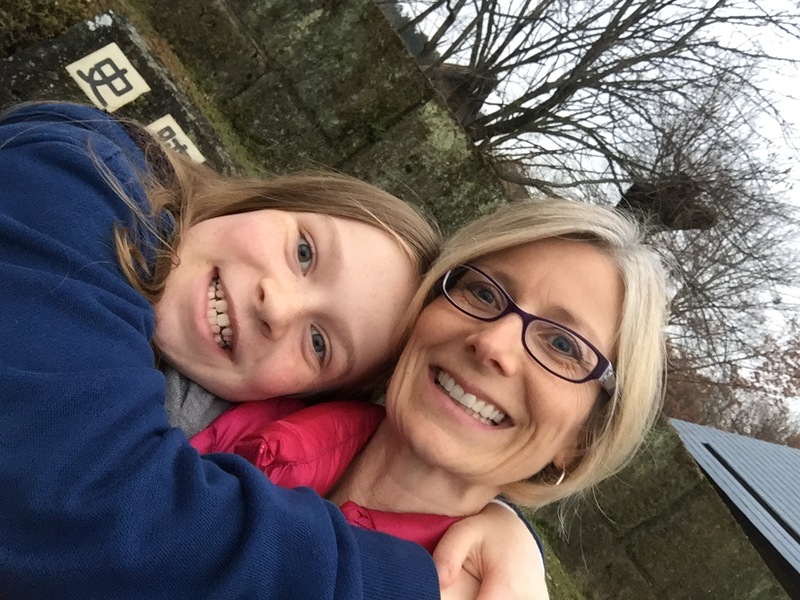 Back in the spring of this year, I set about looking for ways our kids could be involved in some volunteer work that was different from our ministry with college students. I wanted to give them the experience of giving of their time and energy for others. I also wanted it to be something they could really enjoy doing. Not sure what kind of opportunities were available, I looked on the Utsunomiya city website and found some different options. The one that stood out to me the most was a private animal shelter called Happy Tails that was located close to Utsunomiya University. My kids all love animals, but we are not allowed to have any cats or dogs where we live. 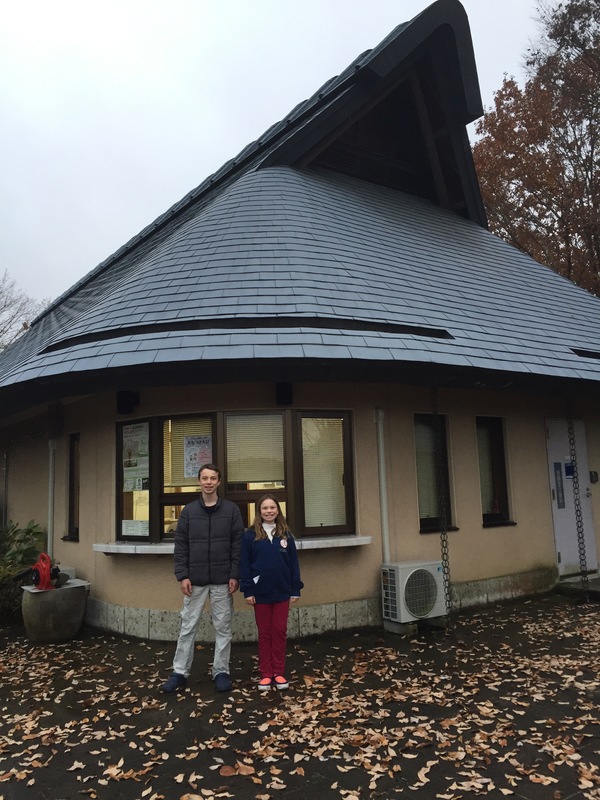 This shelter had need for dog walkers who could help rescued pets get exercise and also help them get used to people, thus making them potentially more adoptable. Volunteering at Happy Tails sounded like a great chance for us to serve the owner of the clinic and the cute, furry creatures she was dedicated to helping. So, I contacted her and set up a time to meet. On our first time to volunteer, the owner of the center taught us how to walk the dogs and what course around the neighborhood to follow. At first she walked with us and assigned two of us to a dog. After we got used to the course and showed our trustworthiness with the animals, we graduated to each getting to walk a dog on our own. We go about once a month and it’s always a ton of fun, though we sometimes have to help each other problem-solve when we have a canine friend who refuses to walk or one who tries to run the whole way, pulling us helplessly behind him! All of the dogs we walk have been abandoned, neglected, or abused in some way, but all of them are adorable. Here are a few pictures from some of our dog-walking expeditions. 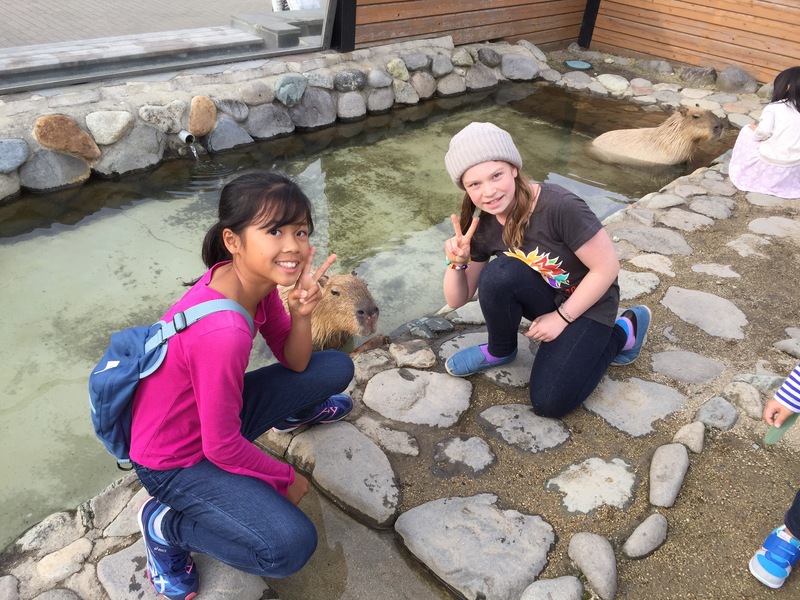 This month our family broke out of our normal routine to enjoy some encounters with animals at well-known spots in Ibaraki and Tochigi prefectures. 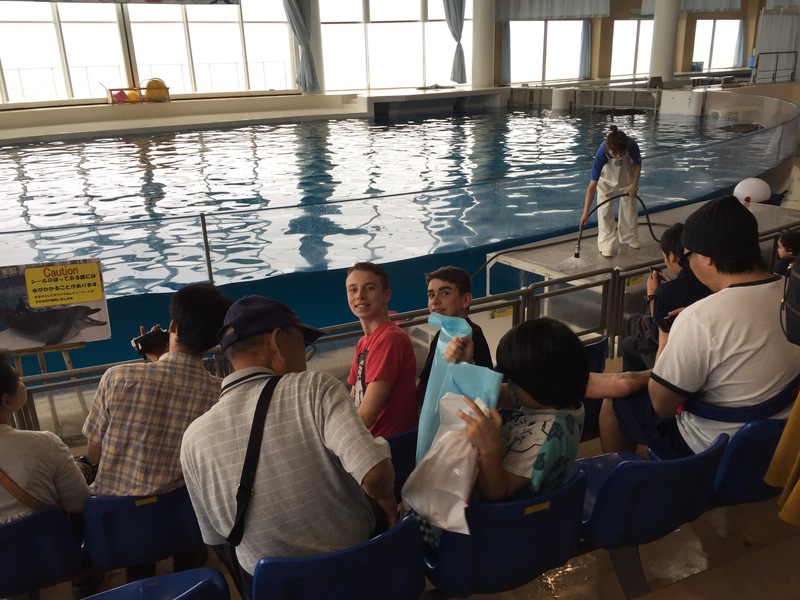 The first place we visited was the Aqua World Aquarium in Ooarai, which is about an hour away from us in Ibaraki Prefecture. 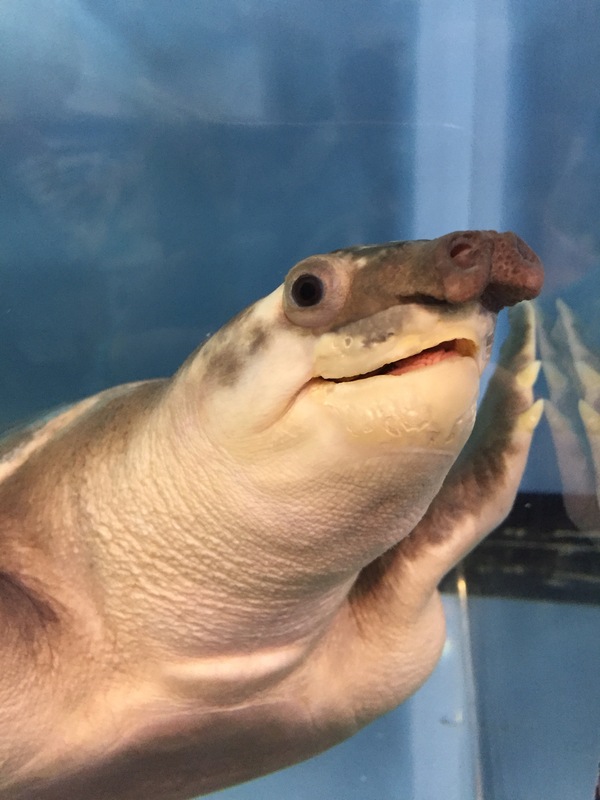 For fifth grade science this year, Katie is studying marine biology with the Apologia science curriculum so we thought this would be a great chance to get up close and personal with some of the amazing creatures she would be studying about. 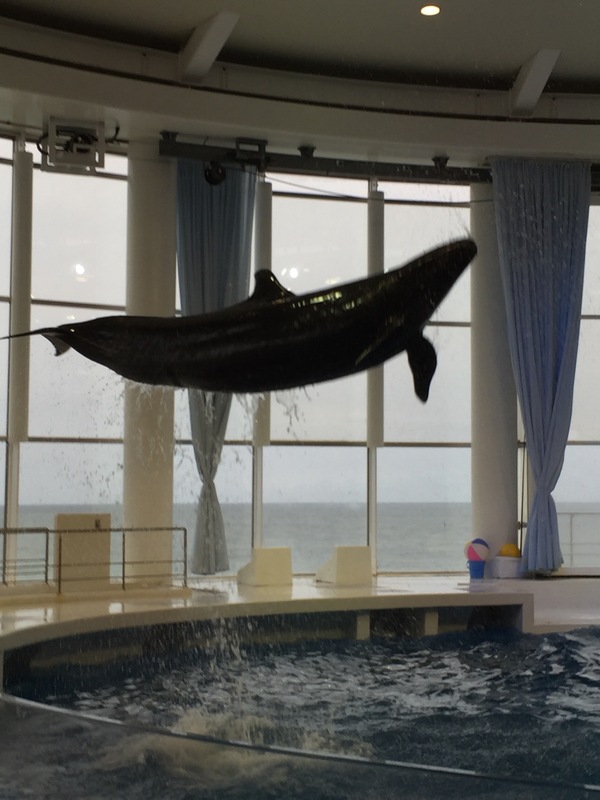 Highlights here included watching penguins feed, dive, and swim around their enclosure, enjoying a truly amazing dolphin and whale show, and oohing and aahing over stumpy sun fish and smiling sea turtles. 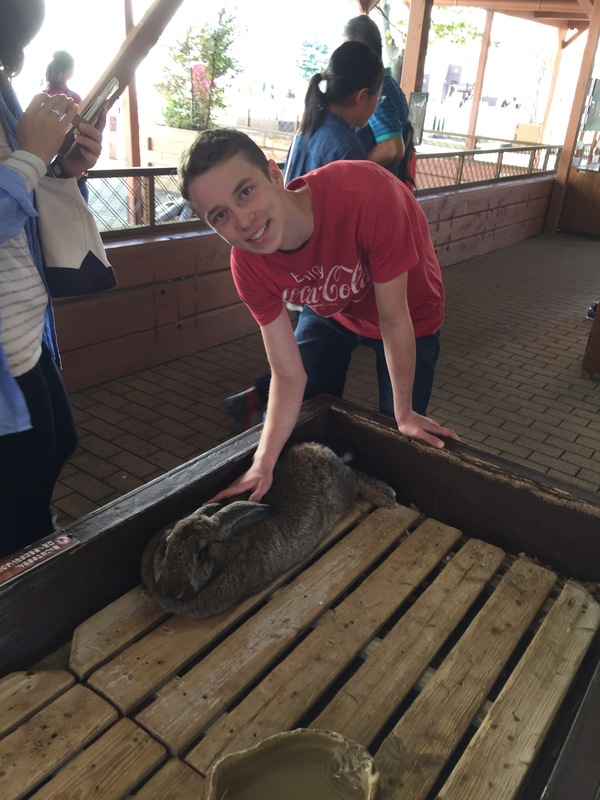 Then later in the month, our family hopped in the car and headed an hour in a different direction to visit the Nasu Animal Kingdom with our good friends the Abarra Family. 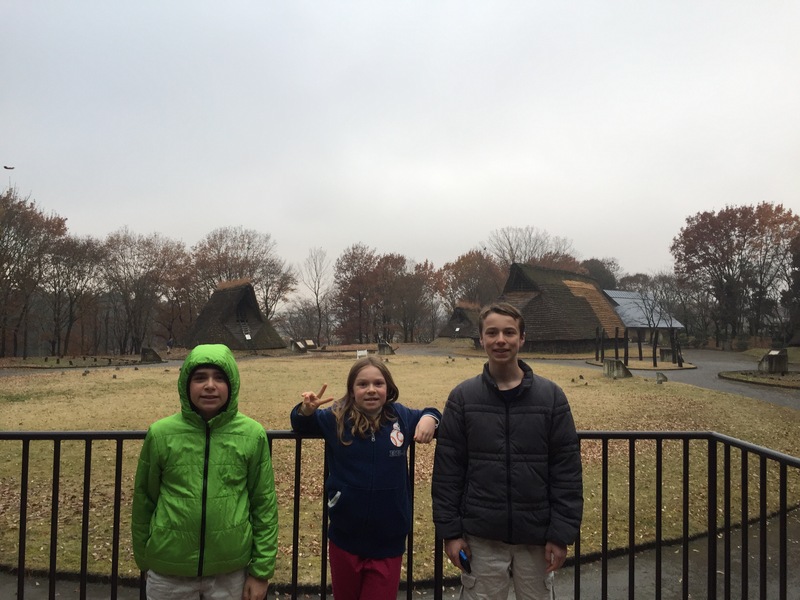 Nasu is located in Tochigi Prefecture where we live, but this was our first time to explore the Animal Kingdom. 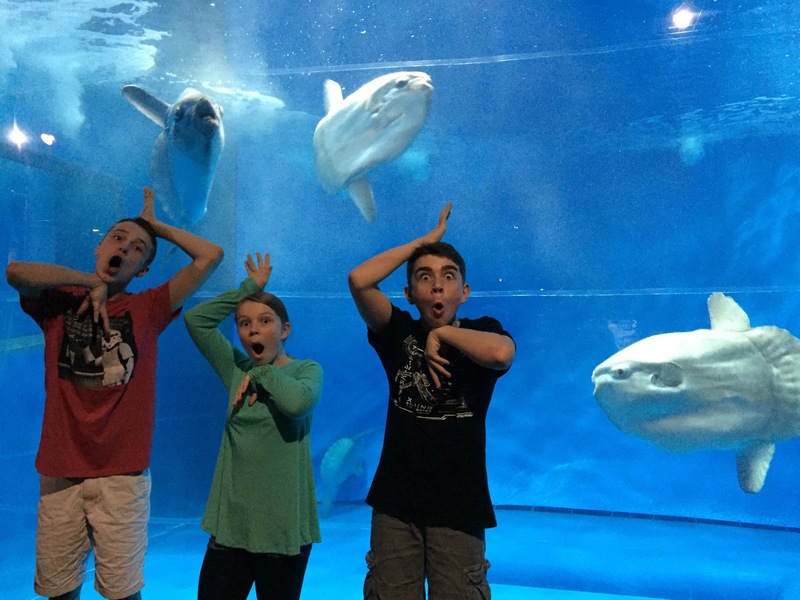 Wow, were we impressed! 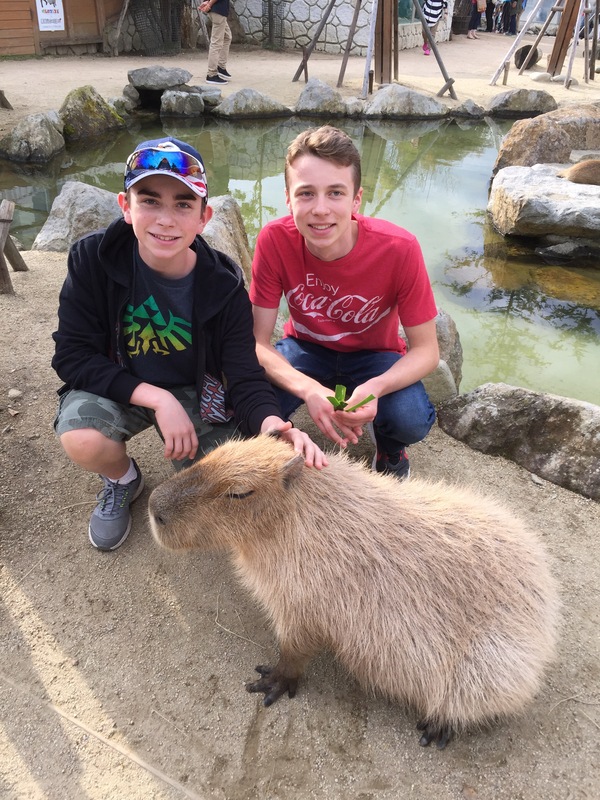 We were able to get very close to many of the animals and there was quite a variety of species: lazy sloths, napping bats, lounging capybaras, some adorable red pandas, and fuzzy-antlered reindeer were just a few of our favorites. 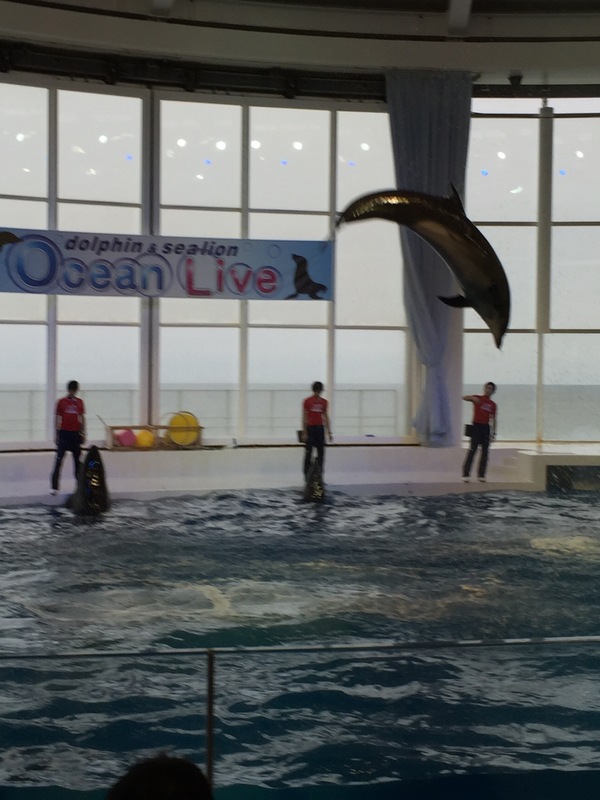 The wild bird show was also a treat. We had a fun, full day of being with dear friends and enjoying God’s creation. It was great! We’re already looking forward to our next adventure, whatever that may be! 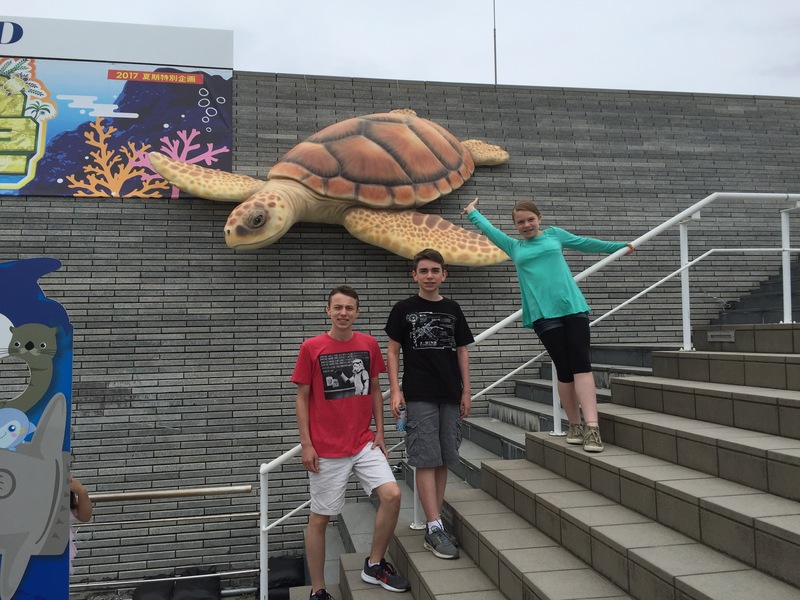 This week our family headed to Tokyo for the day to renew the kids’ passports and spend some fun family time. 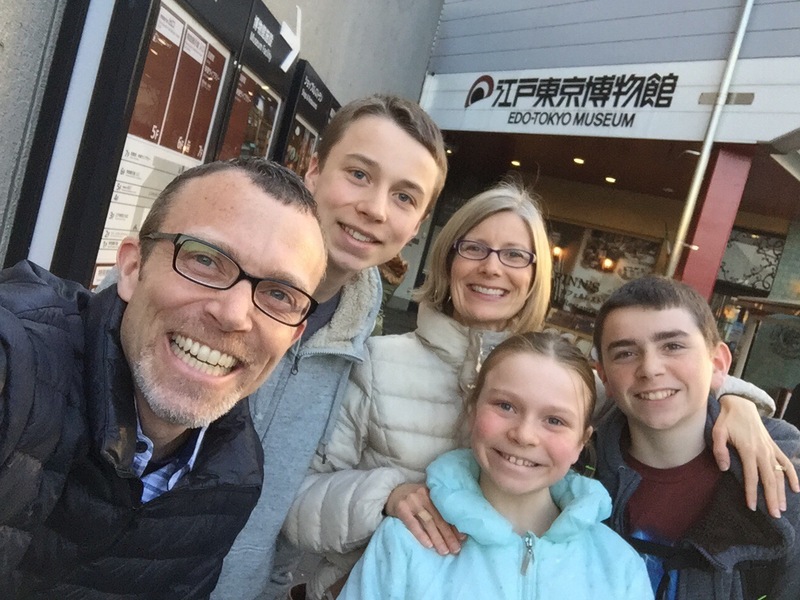 After an uneventful experience at the embassy and a scrumptious lunch of Indian curry, we trekked over to the Edo-Tokyo Museum to dive into learning about the Japanese Edo and Meiji periods. The Edo period lasted from 1603 to 1868 and was the time when samurai were plentiful and Japan was ruled by the Tokugawa Shogunate. 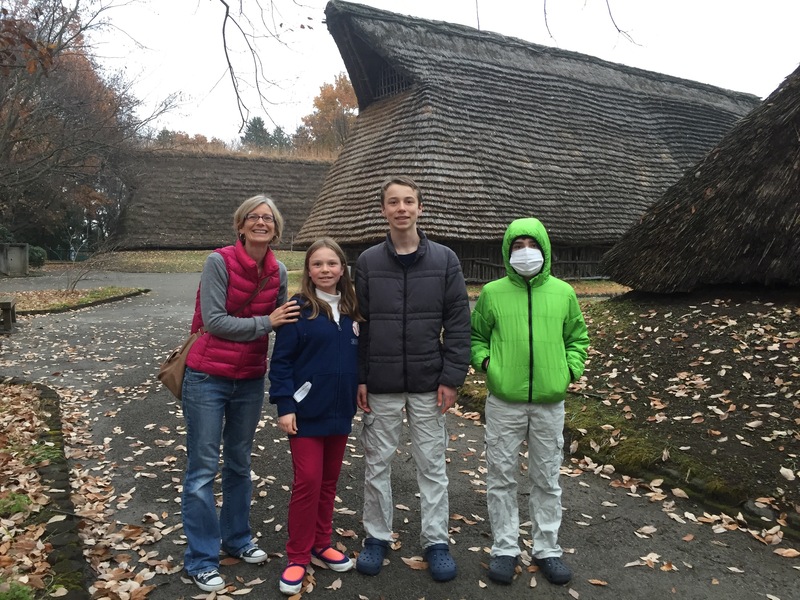 During this time, Japan was closed off to the rest of the world and many of the cultural traditions that we think of as distinctly Japanese came into existence. The Meiji Period lasted from 1868, when the reign of the Tokugawa family ended and Emperor Meiji took power, to 1912 when Emperor Taisho became the new leader. This was a period of modernization and westernization for Japan. 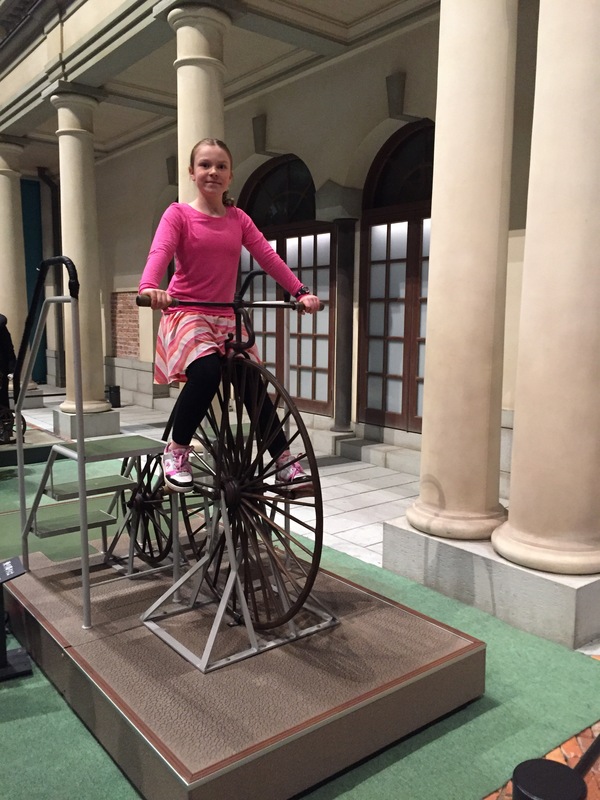 The fifth floor of the Edo-Tokyo museum where the permanent exhibits are located is divided into two halves – one with displays about the Edo Period (during which the capital city was called Edo) and and the other with information and interactive zones that teach about the Meiji Era (when Edo became known as Tokyo). 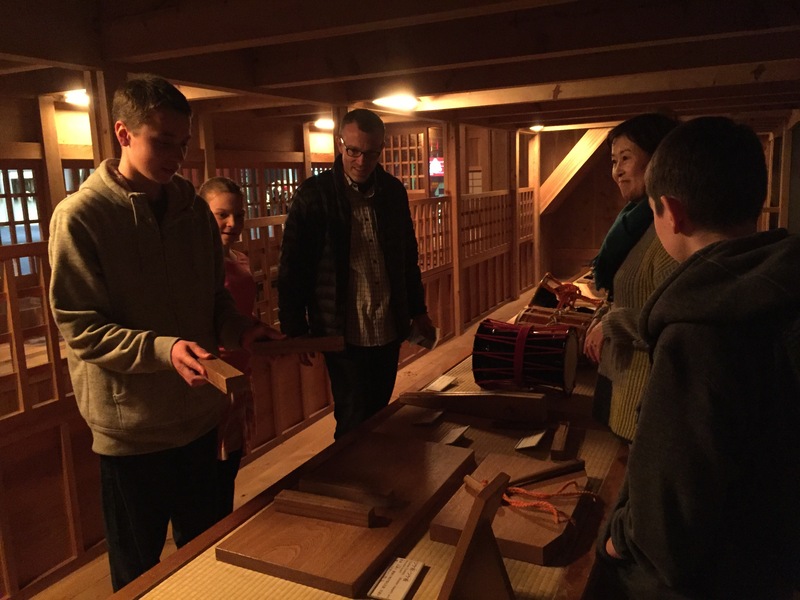 When we entered the museum, we were greeted by a volunteer tour guide who sweetly and skillfully guided us throughout many of the displays, giving us tons of background information and access to a behind the scenes area where we could try out instruments that were used for making sound effects for kabuki performances. She gave us the option for having our tour in English or Japanese and we decided to go with the Japanese version for listening and speaking practice. 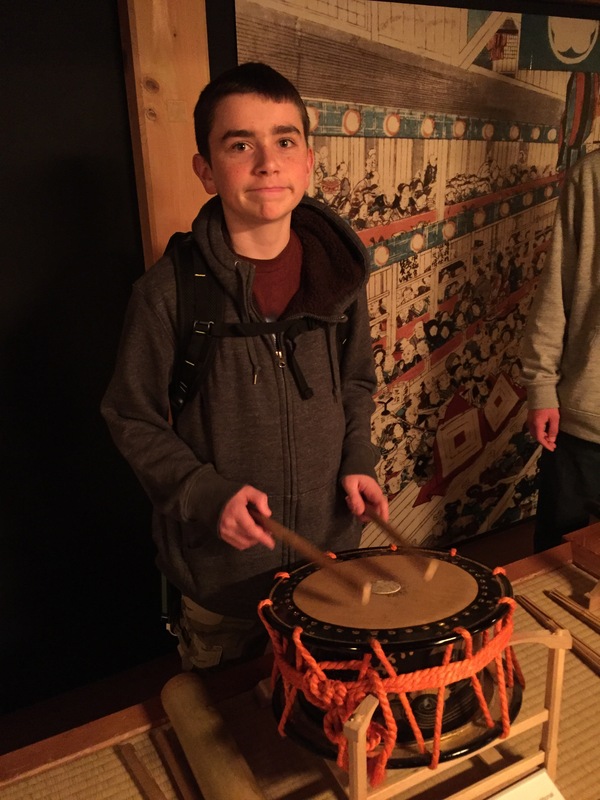 Highlights for us were the kabuki instruments, a life-size model of the old wooden Nihonbashi bridge, a Meiji Era house we could enter and explore, and a display of samurai swords and armor. 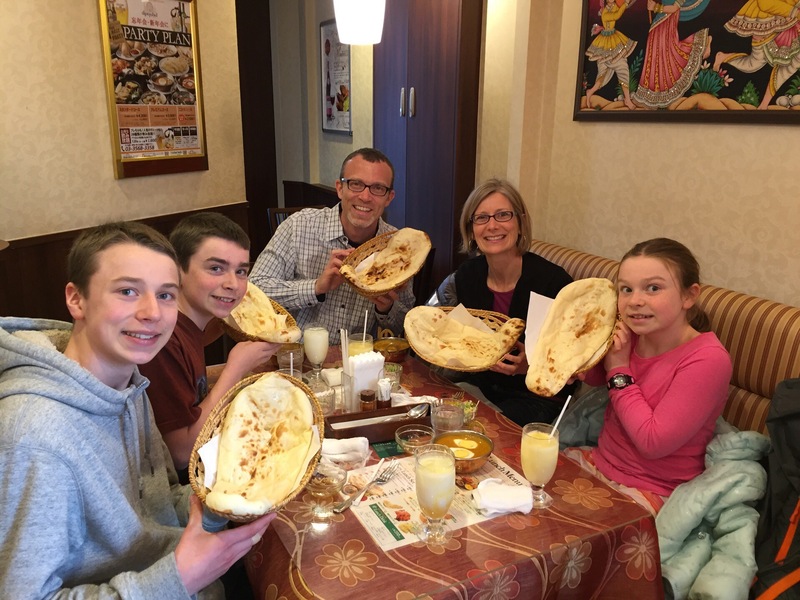 We are big fans if Indian curry and naan bread! It’s probably a good thing this isn’t our usual family car! 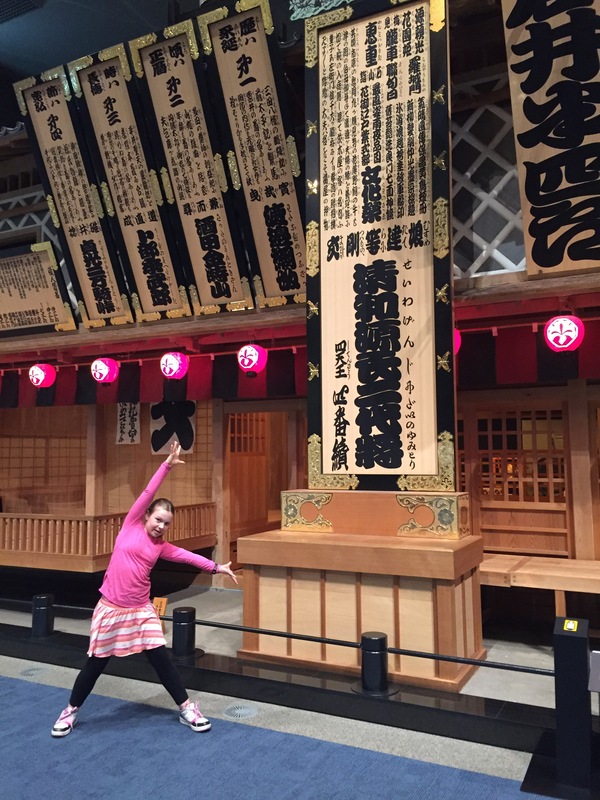 Learning from our tour guide about kabuki theater and how they made different sound effects during the Edo Period. This is what the front of the kabuki theater looked like. 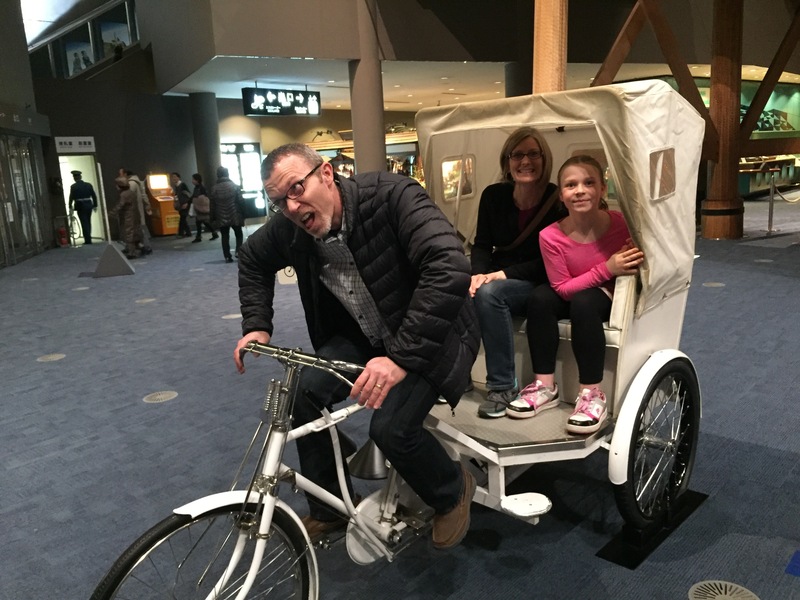 Photo op on a Meiji Era bicycle. 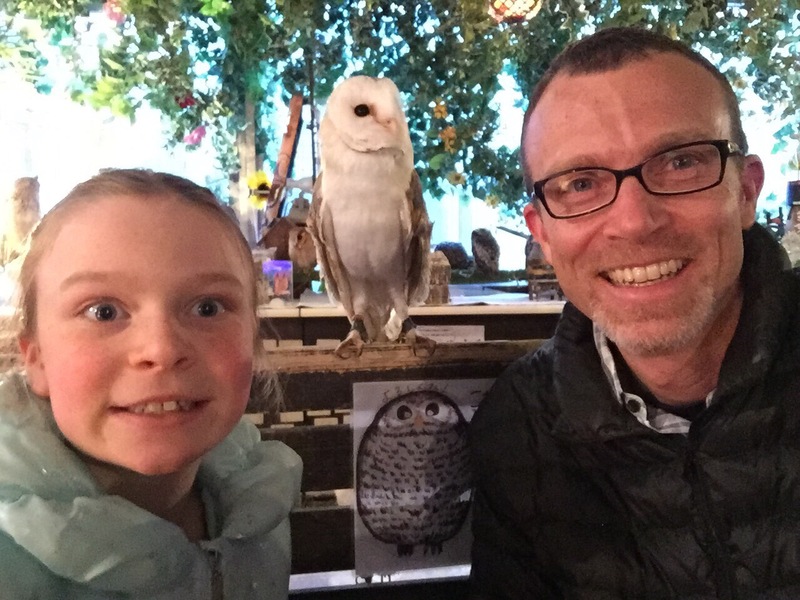 We could have spent more time at this fascinating spot, but left after a couple hours so we could zip over to our other touristy activity for the day — an owl cafe! Tokyo is a city full of themed cafes and new styles are always being added. Animal cafes are quite popular right now, with different ones offering customers the chance to relax while communing with dogs, cats, birds, and even monkeys or owls. 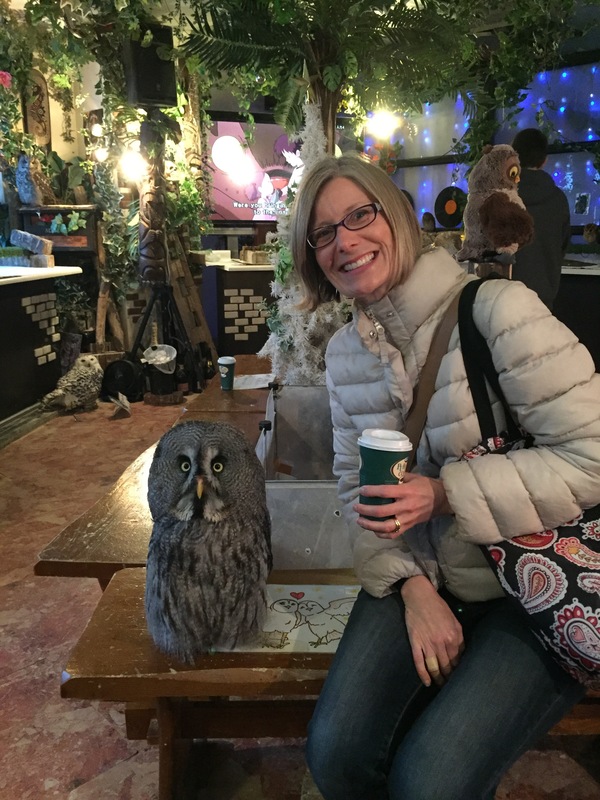 After paying an entrance fee, we were provided with a soft drink of our choice and given an hour to hang with the 60 different owls who reside at the cafe. The decor of Owl Forest Cafe was very eclectic and not really my favorite, but the staff were kind and the many types of owls were cute and allowed us to gently pet them on their backs and heads. 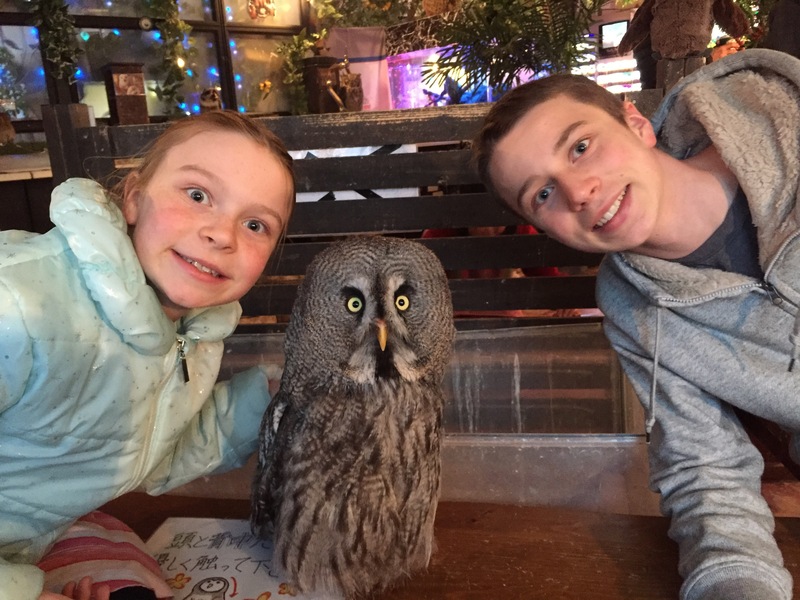 I don’t think we would go back to that particular cafe, but it was a fun family experience, especially for our animal-loving kids. We’d had a unique and fun-filled day in our favorite big city, but we still weren’t finished with our family adventure. 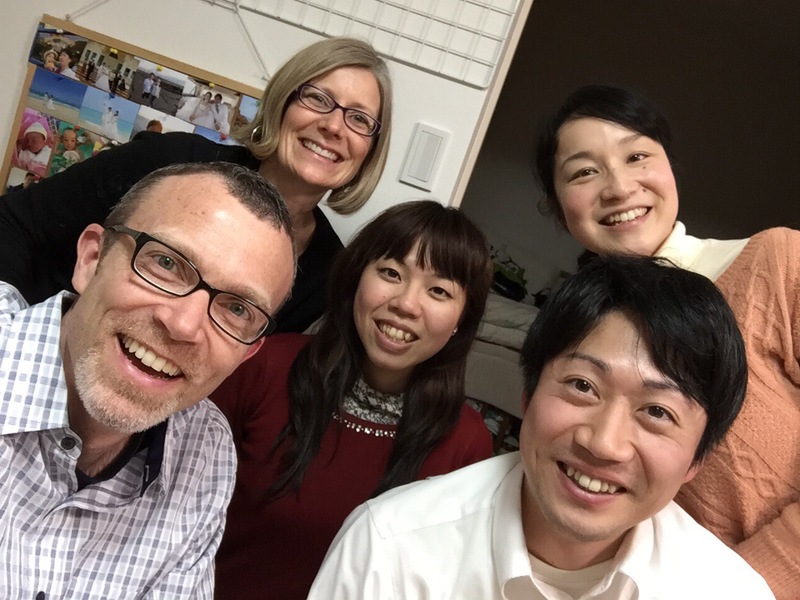 The final stop was dinner in the home our dear friends who live in Saitama, about an hour away from where we were. Our sweet friend Echan welcomed us into her lovely apartment and we had a super fun time eating, laughing, and fellowshipping with her family and another close friend, Saki-Chan. 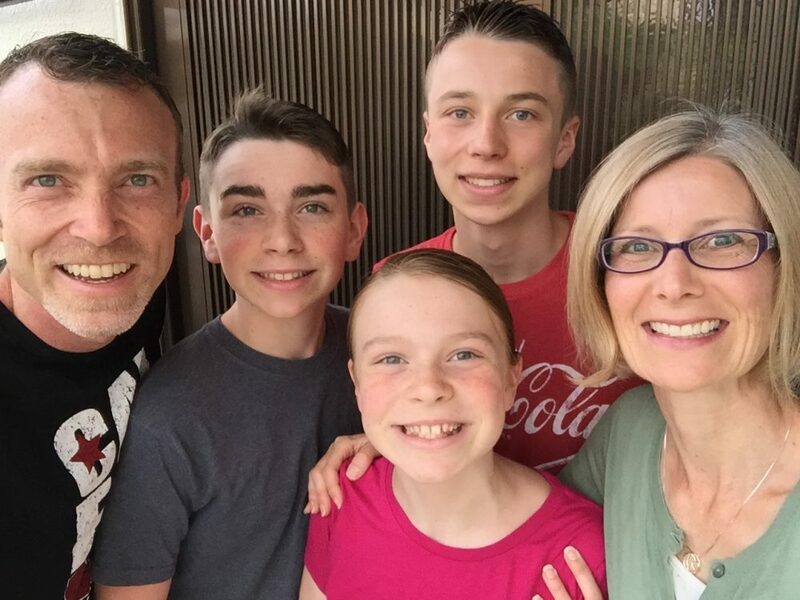 As we drove home that night we all agreed that the necessity of renewing our passports had provided us with a chance to build some great family memories! Learning about history has become a lot more interesting to me since needing to teach it to my kids in our homeschool. Actually, more than me teaching my kids it’s a lot more like us learning together. This year we are taking a tour of world history through Sonlight Curriculum’s “Core W” course. One of the textbooks we are using is 12,000 Years of World History, a fascinating Internet-linked book filled with tons of detailed hand-drawn pictures and oodles of interesting facts about ancient times through the 21st century. We particularly love getting online after reading in our book and finding videos that give us more insight into the period and cultures we have been learning about. For example, after reading about the China’s Qin Dynasty, we went to History.com and YouTube to find videos about how the Great Wall of China was built and to watch a short documentary on the Terracotta Soldiers in Xian. 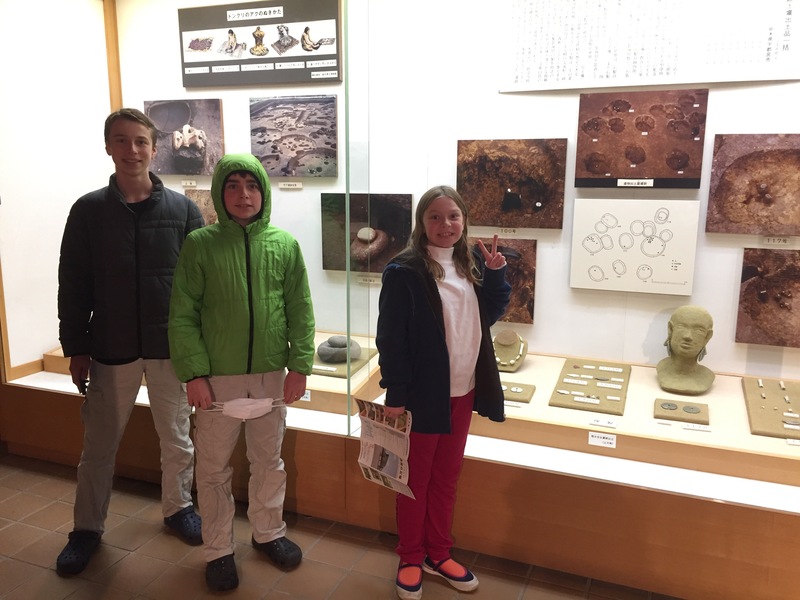 Recently we have been learning about Japan’s Jomon period, which took place between 10,500 BC and 300 BC. 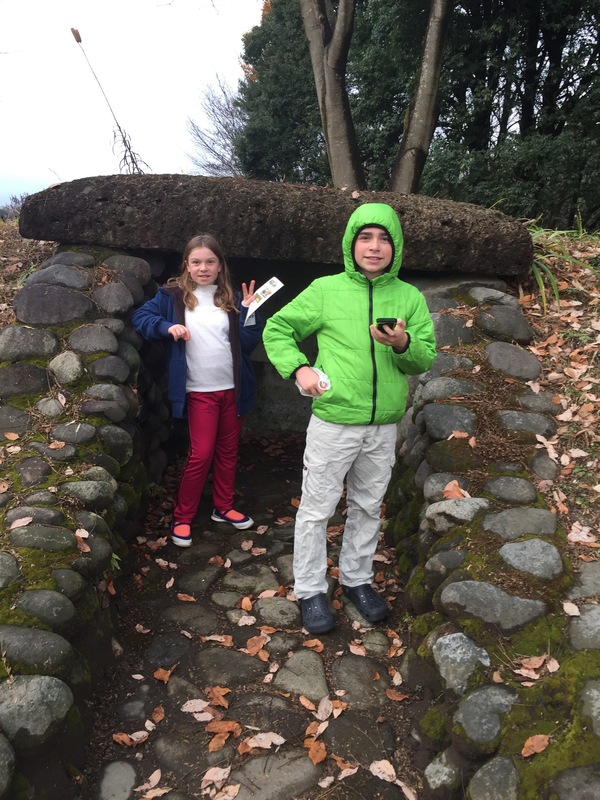 We enjoyed watching some videos about life and art during that period of history, but since we live here we decided to also get hands on and go visit a local historical ruin from that time period that happens to be only about 20 minutes from our house. 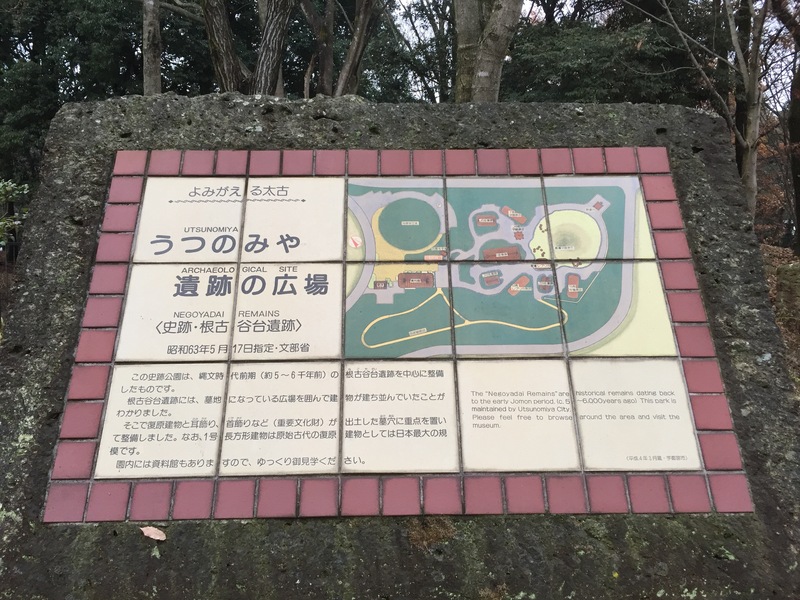 So, today after we had finished up our other subjects for the day, we hopped into the car and let Google Maps guide us to Utsunomiya’s Historical Ruins Park (宇都宮遺跡広場). This historical site was accidentally discovered by a construction survey crew and unearthed between 1982-1987. 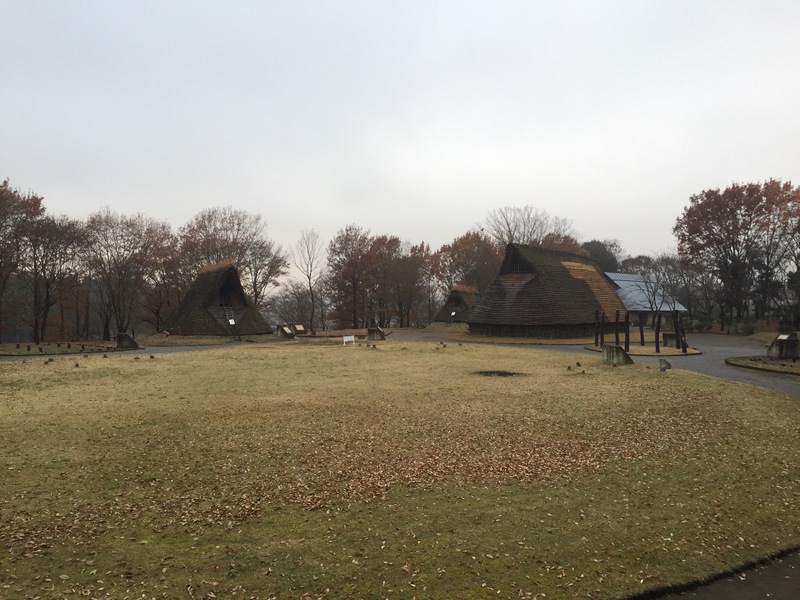 The archaeologists involved in the project found the remains of a 5000 – 6000 year old village with special burial sites in the middle of the village. 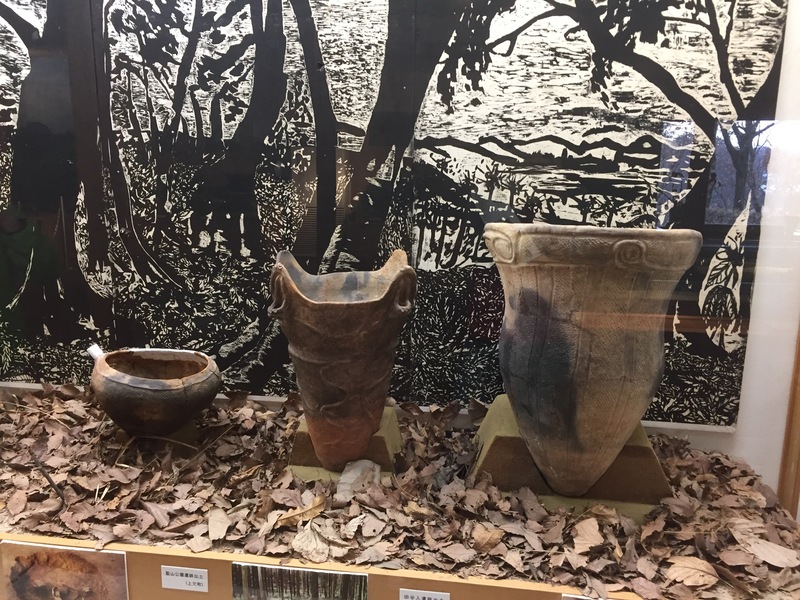 When we visited today we were able to browse through a small museum of artifacts (such as pottery and stone tools) from the Jomon period. 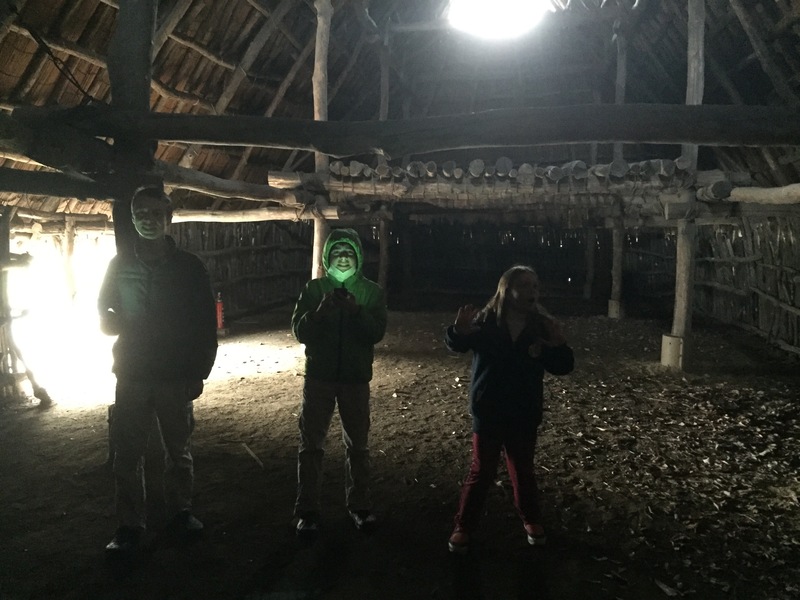 We also walked around outside to see reconstructions of thatched-roof buildings that once stood there and and places where ancient people had buried their dead. 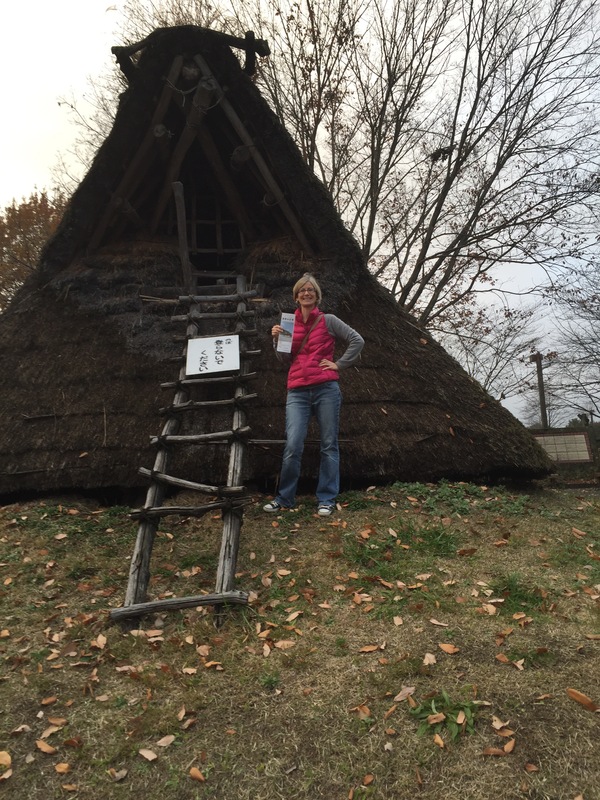 We even got to go inside a couple of the buildings. It definitely felt like we were walking back in time. The park had a raised platform we could climb on top of to get a good view of the overall site. 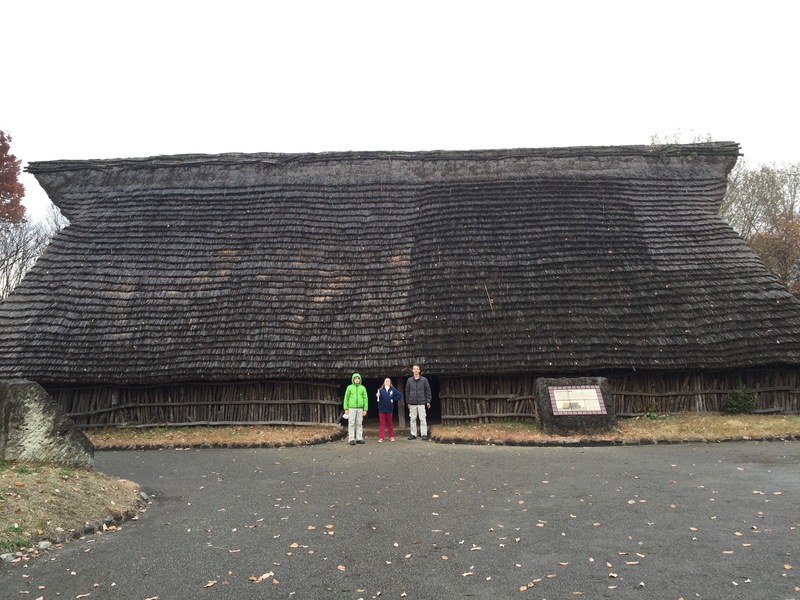 Reconstruction of an ancient long house. This one was open for us to go inside. This is what the entrance to an ancient burial chamber looked like. This sweet elderly gentleman works as grounds keeper at the museum and took our picture for us. 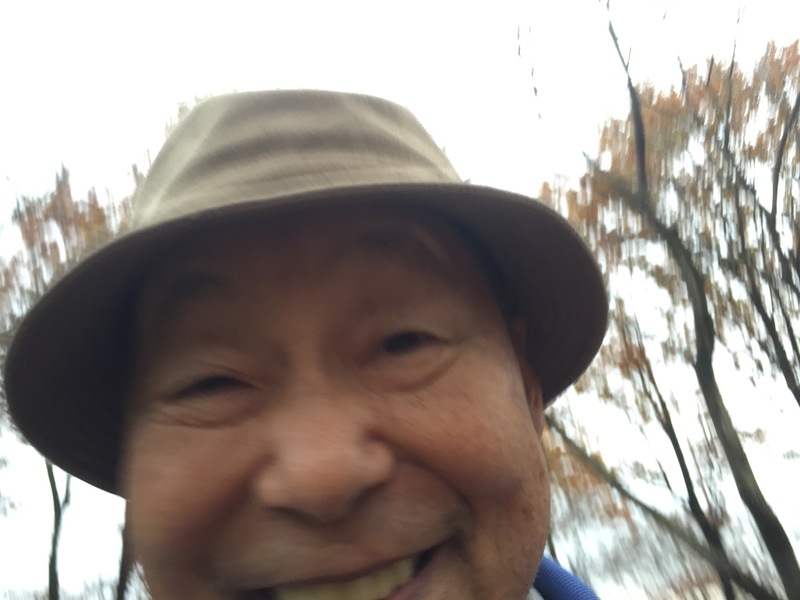 He wasn’t a seasoned iPhone user so he accidentally took this picture of himself. He told us lots of interesting information about the buildings and time period. 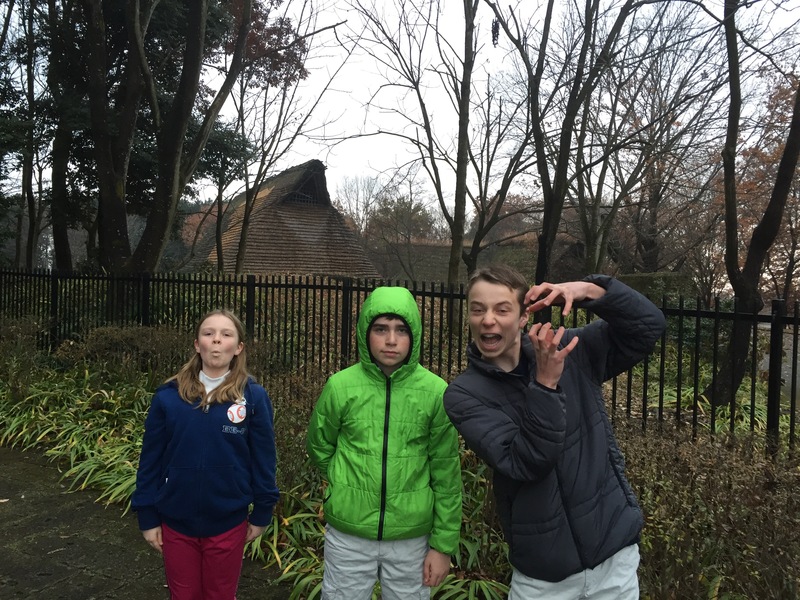 Rainbow colors fluttering through the air, feathery antennas brushing our skin, the scent of juicy nectar and pungent flowers — these are the sights, sounds, and aromas that filled our senses when the kids and I visited Igashira Park’s butterfly house last month. The butterfly house was one section of a bird, flower, and butterfly exhibit on the grounds of the huge park. We all entered the butterfly sanctuary expecting to immediately be pounced upon by friendly creatures who wanted to land on our heads, hands, and feet, but we soon discovered that getting to that experience would take quite a bit of patience and a little bit of creativity. Austin seemed to be the most attractive to the insects flapping their wings all around us, but soon the rest of us were able to get some of them to stop and spend a few seconds resting on our fingers. We found that staying super still, putting drops of nectar from the butterfly feeders on our hands, and even (oddly enough) carrying a coke bottle made us more attractive to the colorful creatures. In addition to butterflies, the exhibit housed a couple of toucans, a few other small birds, some turtles, and a plethora of plants, including a tropical banana tree, which was our favorite. All that communing with nature left us hungry, so we popped over to the cafeteria next door and feasted on some delicious ice cream cones before heading home for the day. Igashira Park is in Moka City, about 40 minutes from our house, so we don’t go there super often, but with bicycles to rent, a “10,000 person sized pool”, an obstacle course, and other attractions it’s a fun place to spend a pleasant afternoon as a family. We will definitely be back!